Patna, (Bihar Times): Several corporate giants have evinced interest in taking on lease sick sugar mills of Bihar. Reliance Industries, Tata Chemicals, Bharti Enterprises’ Fieldfresh and Indian Oil are some of them. The Bihar government is offering these closed mills, mainly to exploit opportunities to make ethanol to meet mandatory petrol blending norms that were introduced this year. The Bihar government recently decided to offer 15 closed mills belonging to the Bihar State Sugar Corporation on a long-term lease of 60 years, This can be extended by 30 more years if the SBI makes the recommendation. Bharat Petroleum, Hindustan Petroleum, Renuka Sugars, Upper Ganges Sugar, Dhampur Sugar and India Glycols have also acquired the request for qualification form. 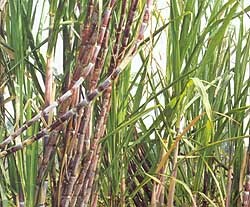 According to state’s cane development minister, Nitish Mishra, a pre-bid meeting is to be held on December 8 in New Delhi. All bids need to be submitted by the December 20. The leasers will be shortlisted on December 29. Its nice to see that there is something good for bihar.The government should cash this opportunity. The suger mills which were supposed to be good for nothing are showing doors for bihar's progress. The govt should also promote farming of sugercane such that the demand of these mills could also be fulfilled.This kind of industry can also help in generation of electricity which is rare in rural areas of bihar. A good news indeed .This step will go a long way in improving the financial condition of the people residing in the area in the vicinity of sugar mills.